Standing in line at the grocery store, glossy magazine covers of country kitchens and Mediterranean-style corridors stare many shoppers in the face just before they reach for coupons to take the edge off their tab. The current economy may not be in favor of the average homeowners’ visions to revamp their interior décor, but local design experts say that not all hope is lost. “We’re all aware of what’s going on in the economic climate. Fewer people are buying cars or going on expensive vacations, but all in all, I think customers are still coming to us wanting to do the same types of projects as they were three years ago,” said Chandler Fox, president of the Falls Church-based Fox Design Group, Inc.
For those who aren’t looking – or simply can’t afford – to drastically remodel, Fox said that changing the perception of a home’s interior space is the cheapest way to create a fresh feel. By focusing on minor details like lighting fixtures, paint schemes, cabinetry, countertops and hardware, renters and homeowners alike can turn drab into fab. 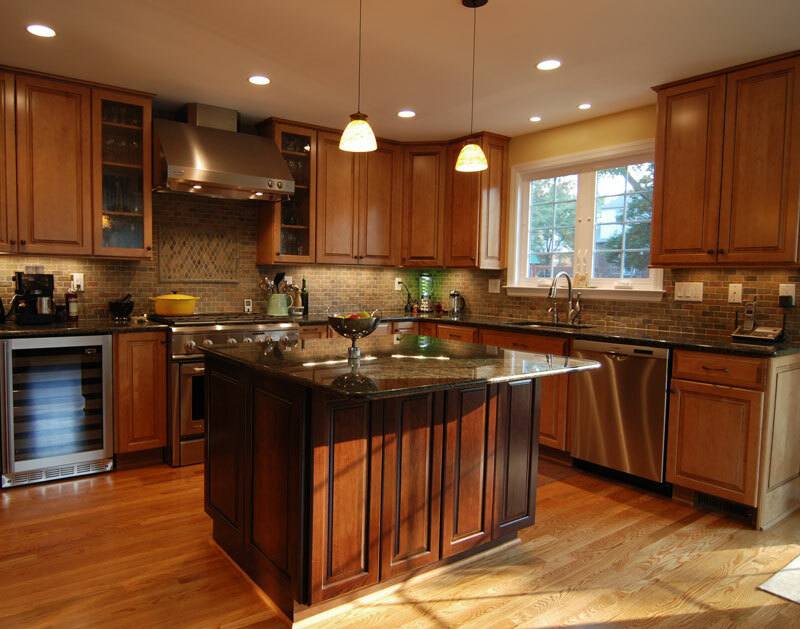 Though most people are convinced they must remodel their home’s kitchen for it to be marketable in the future, Fox said that in most cases that all a kitchen needs is a little cosmetic spruce-up. He went on to note that homeowners won’t see a full monetary return if they spend the typical amount for a fully-remodeled kitchen. “If you try to sell it the next day, you’re not going to get that money back, so my interior designer and I figured out that all you need to really do to resell is repaint the walls, perhaps even the cabinets, add more light and maybe even do a backsplash tile,” said Fox. Upgrading cabinetry hardware also makes a big difference, which Fox said can be done by homeowners themselves for around $100 for an entire kitchen. As far as getting the biggest bang for your buck, dimmer switches allow for dramatic lighting changes without a pricey commitment- introducing high levels of bright illumination for one room “which can be toned down when it’s too much,” according to Fox. The bathroom is another space where the dollar stretches. Fox gave the example of the typical hotel bathroom, which somehow always ends up feeling a bit cozier than one’s loo back home. “There are tricks that they’ve used; there’s lighting, bigger mirrors and countertops that extend to the toilet – or the shower curtain that curves outward to give you the perception of space. These have all been done on purpose,” said Fox. Not only are these intentional, but Fox said that they are easy changes to mimic in your own home. 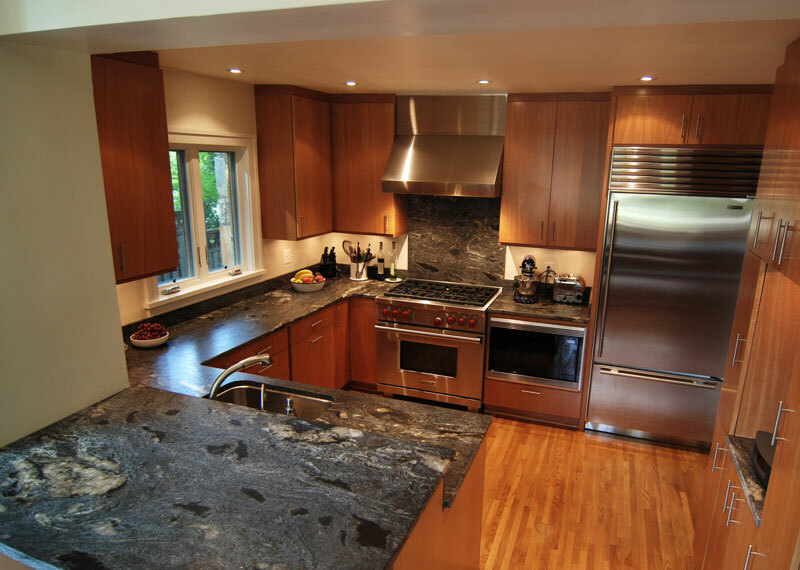 For those with enough cash to take the plunge and remodel, Daniel Mattock of North Shore Design, LLC in Falls Church said that every client’s budget is adjusted throughout the process to ensure that their wallet can take the hit gracefully. “We’re very upfront with people about their budget and what they can and can’t afford. There’s nothing worse than starting a project and the client realizing halfway through that there’s not enough money to finish what they’ve started exactly how they had pictured it,” said Mattock. When doing architectural design projects, North Shore typically walks its clients through three to four stages of drawings, throughout which re-pricings occur to see how the final changes affect the client’s budget. However, Mattock said he’s seen his fair share of customers who come in with dreams that are bigger than their current bank account. “There are times like that and sometimes, we just have to say ‘Look, this won’t work,'” confessed Mattock. 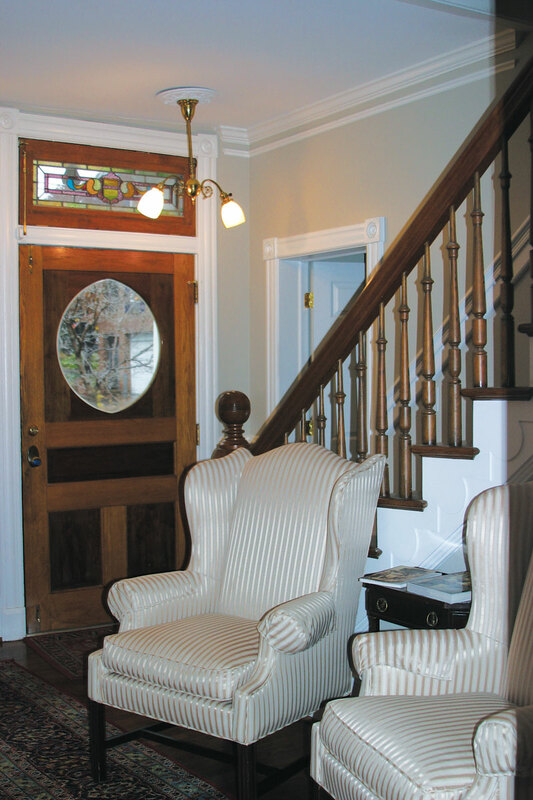 Mattock said that while his clients have seemed slightly more concerned about budget in the last year, nearly 70 percent of customers walking through the door are still seeking multi-room remodels. Fox said the same of his own business, noting that his clients are very aware of their living situation and where their financial choke points are. While shows like “Trading Spaces” and “While You Were Out” tend to inspire at-home viewers to take a hammer to those outdated cabinets, Mattock warns homeowners to realistically allocate their time for a project. He suggested asking knowledgeable friends over to lend a hand … with some incentive, of course.